The online store for dancewear and dance shoes! Roan Dancewear for Dancers. The online dancewear store for dancers, by dancers. 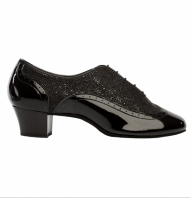 Here you can take a look at a wide range of dancewear, danceshoes, competiton wear and accessories of excellent quality. In addition to our shop in Tiel you can meet us regularly at competitions, where you can find us at our stand or, on and around the competition floor! Other days and times are available by appointment.